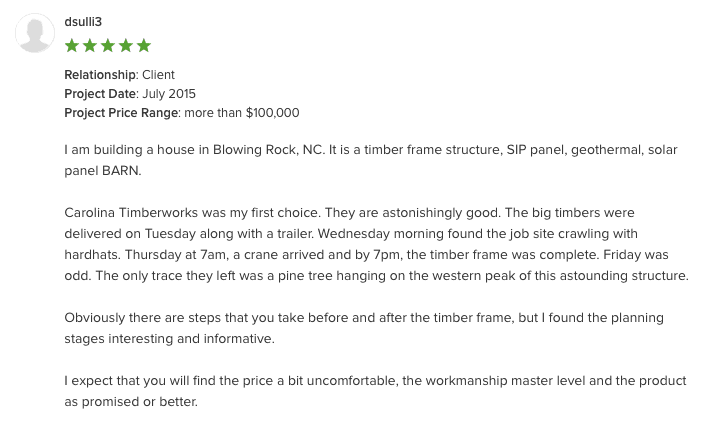 I am building a house in Blowing Rock, NC. 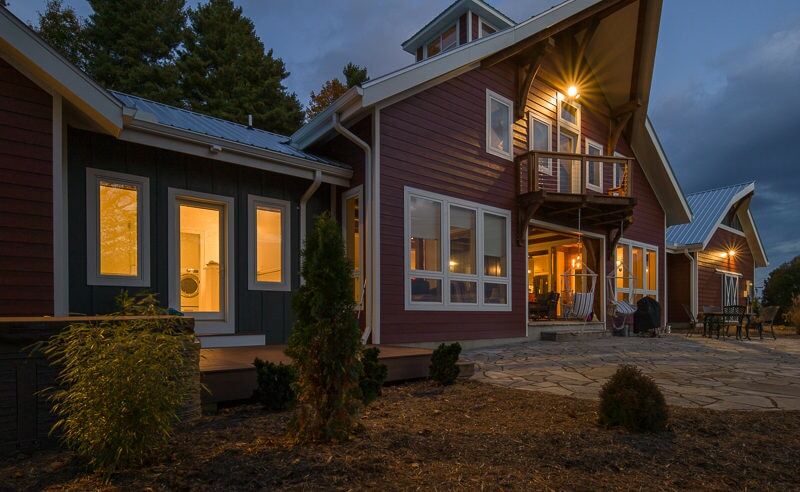 It is a timber frame structure, SIP panel, geothermal, solar panel BARN. Carolina Timberworks was my first choice. They are astonishingly good. The big timbers were delivered on Tuesday along with a trailer. Wednesday morning found the job site crawling with hardhats. Thursday at 7am, a crane arrived and by 7pm, the timber frame was complete. Friday was odd. The only trace they left was a pine tree hanging on the western peak of this astounding structure. Obviously there are steps that you take before and after the timber frame, but I found the planning stages interesting and informative. I expect that you will find the price a bit uncomfortable, the workmanship master level and the product as promised or better.